That’s what I get for bragging. I’m so proud of myself that I’ve been telling anyone who will listen. “What’s that in my Yeti? Oh, it’s just homemade chai latte.” “I’m a bit wired because I had 2 cups of homemade chai latte.” “Nothing to drink for me, thanks. 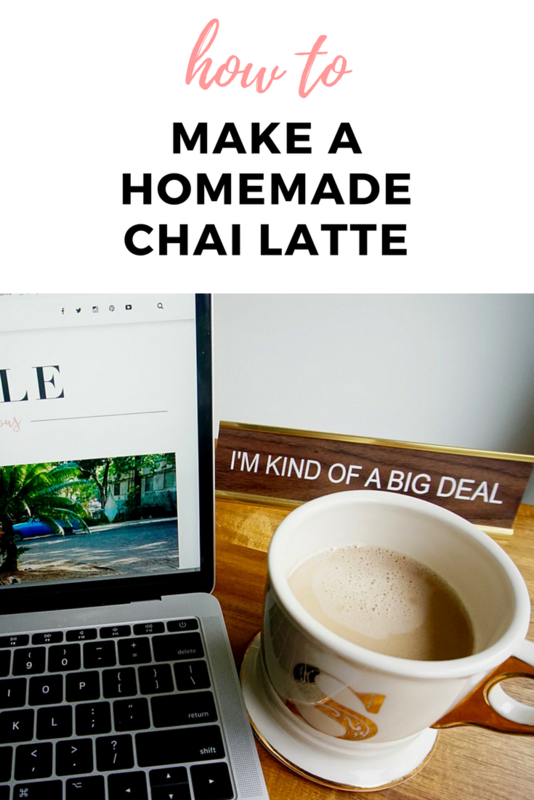 I’ve just had some homemade chai latte.” And because I talk so much about it, I’ve been asked for the recipe again and again. I’m posting this for all who have asked and for all who love chai – but not the super sweet and full of preservatives concentrates used at standard coffee shops. I’m no stranger to homemade; I cook dinner from scratch almost every night, using fresh vegetables and meat, but I take short cuts when I can. I buy already chopped vegetables, already riced cauliflower and already peeled garlic. However this chai latte recipe has no shortcuts. 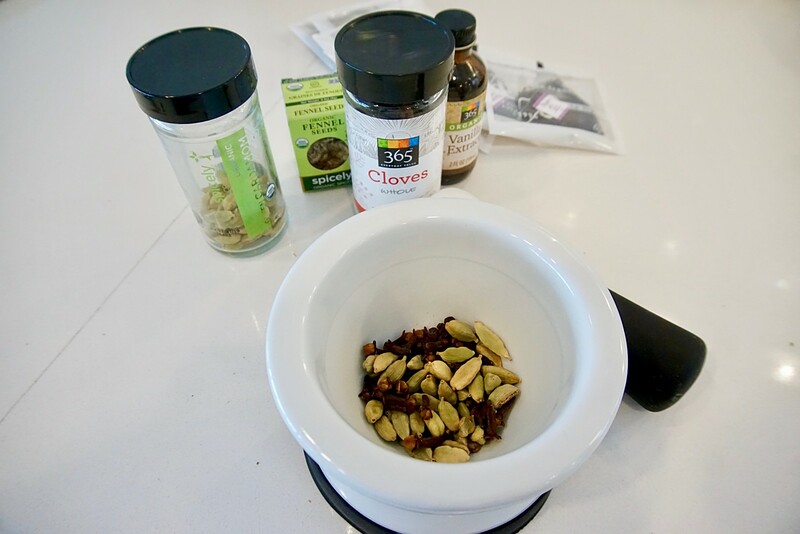 In fact I had to buy a mortar and pestle to properly grind the spices. I went all the way old school. 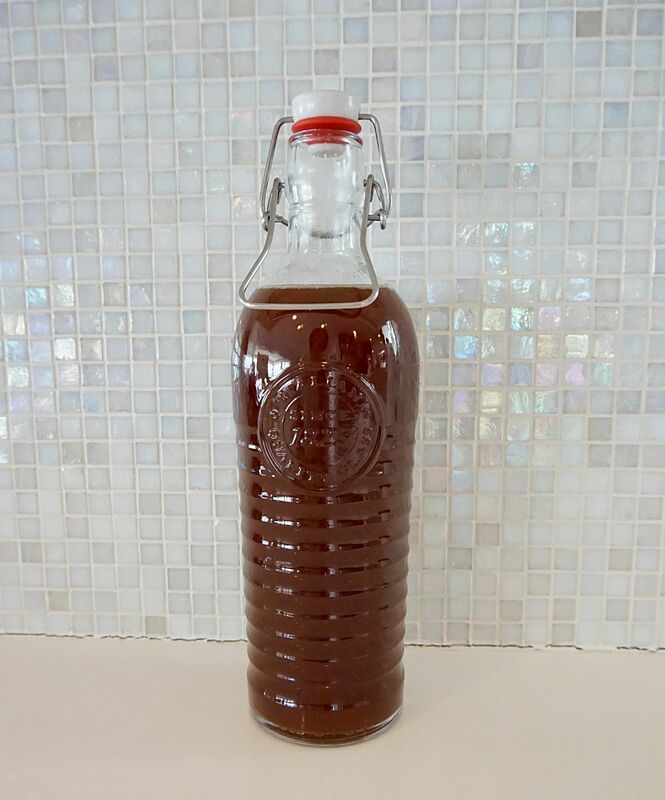 The time and energy is worth it; this delicious chai concentrate lasts for 2 weeks in the refrigerator. 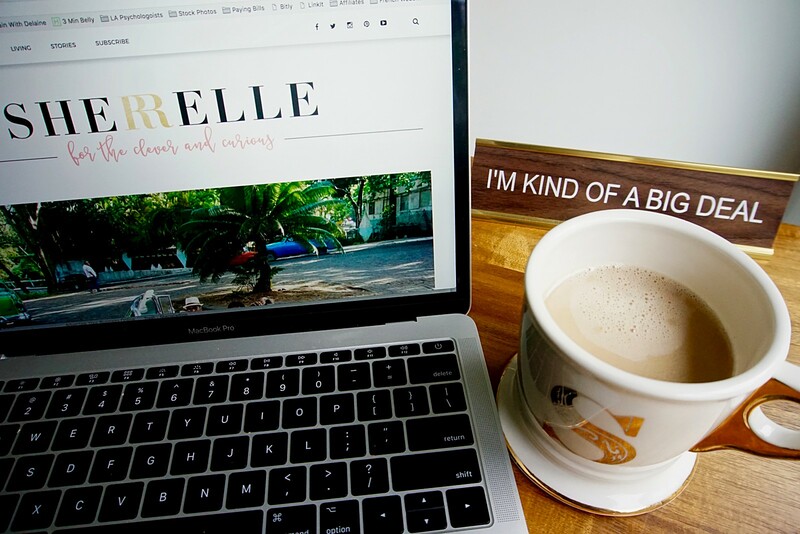 I drink it hot in the morning as I sit down to write and sometimes later in the day over ice as an afternoon pick-me up. Step 1 Crush peppercorns, cardamom, and cloves with the back of a knife or a mortar and pestle. Step 2 Toast crushed spices with fennel seeds in a large saucepan over medium, stirring frequently, until fragrant and lightly golden, 3 to 4 minutes. Add 3 cups water and ginger and bring to a boil. Remove from heat. Add tea bags and let steep for 5 minutes. 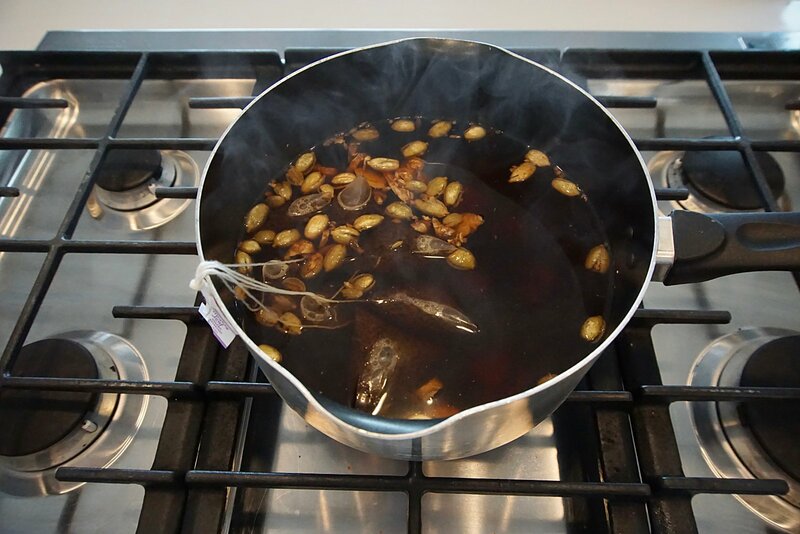 Remove tea bags, gently squeezing to release excess water; discard bags. Step 3 Stir in honey and vanilla and let stand for 1 hour. Strain and discard solids. 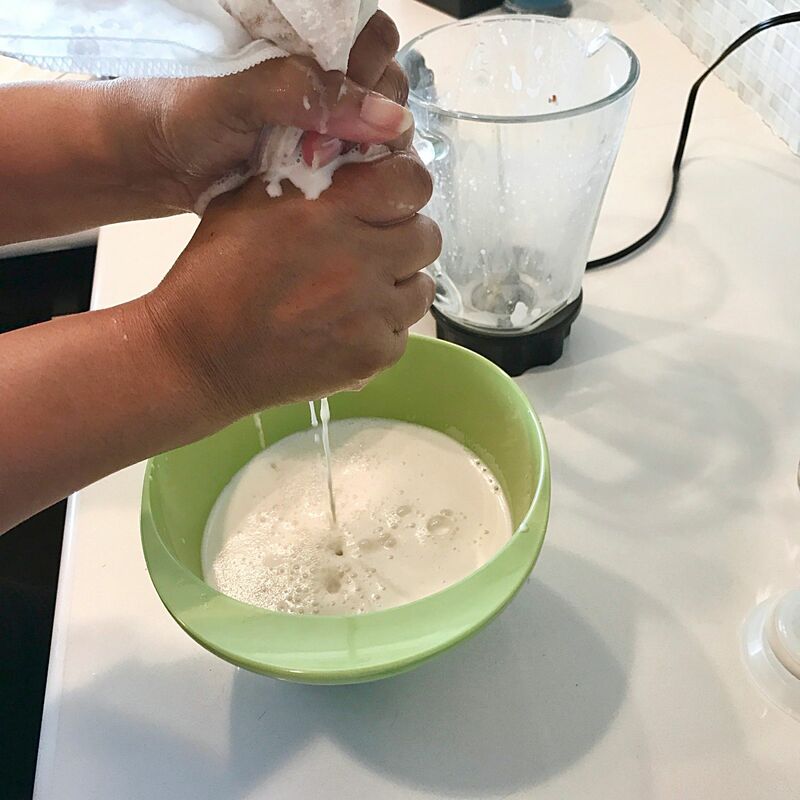 Step 4 Mix 1 part milk with 1 1⁄2 parts concentrate. Serve hot or cold. Concentrate keeps in an airtight container in the refrigerator for up to 2 weeks. Since I drink it everyday and my daughter does too, I find it more efficient to make a double batch. I double everything except the honey; instead I add 5 tablespoons of honey. I also use 7 bags of tea instead of 8 in the double batch because I am very sensitive to caffeine. I’m found (by making a huge mess) that it’s best to use a funnel under the strainer to pour the chai concentrate into the glass bottle. Also I’ve found that the best concentrate to milk ratio for me is 6 ounces of chai concentrate to 3-4 ounces of almond milk. But if I’m drinking it cold, I just eyeball the milk addition until the chai turns the color I like. After a few weeks of using the homemade chai concentrate with store-bought almond milk, I decided to go all the way live and make my own almond milk. It’s not complicated and it tastes so much better than store-bought almond milk. You really don’t need a recipe for homemade almond milk; it’s pretty simple. Soak 1 cup of raw almonds in water, enough to cover the almonds by 2 inches or so, for 12 hours (I do it overnight). 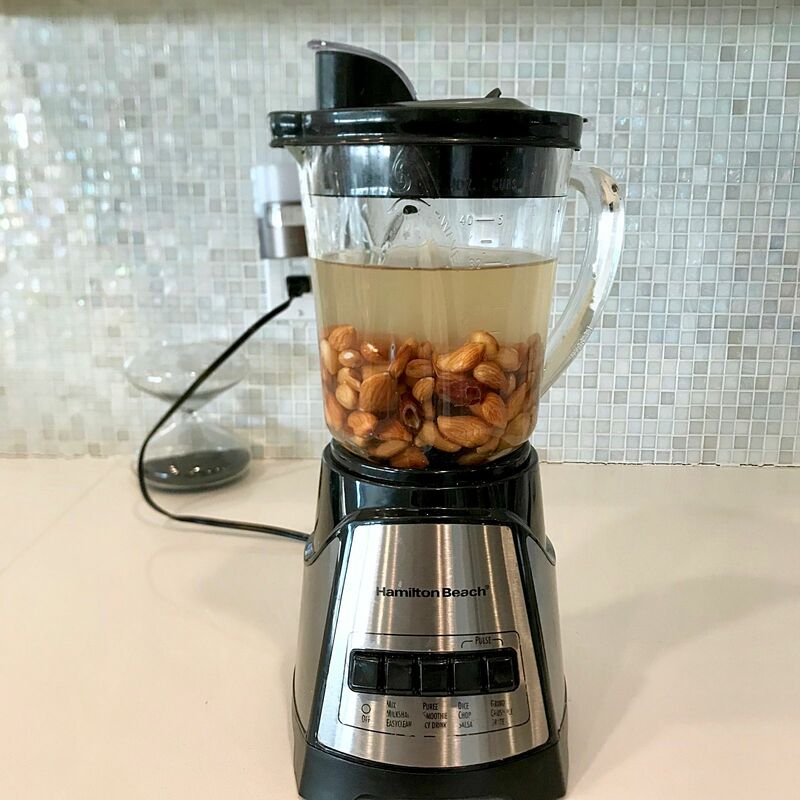 After 12 hours rinse the almonds to remove the enzymes and put them in a blender with 3 cups of water and a pinch of sea salt. Blend for a minute or two. Next pour the nut milk into a nut bag and squeeze out the milk into a bowl. And that’s it! 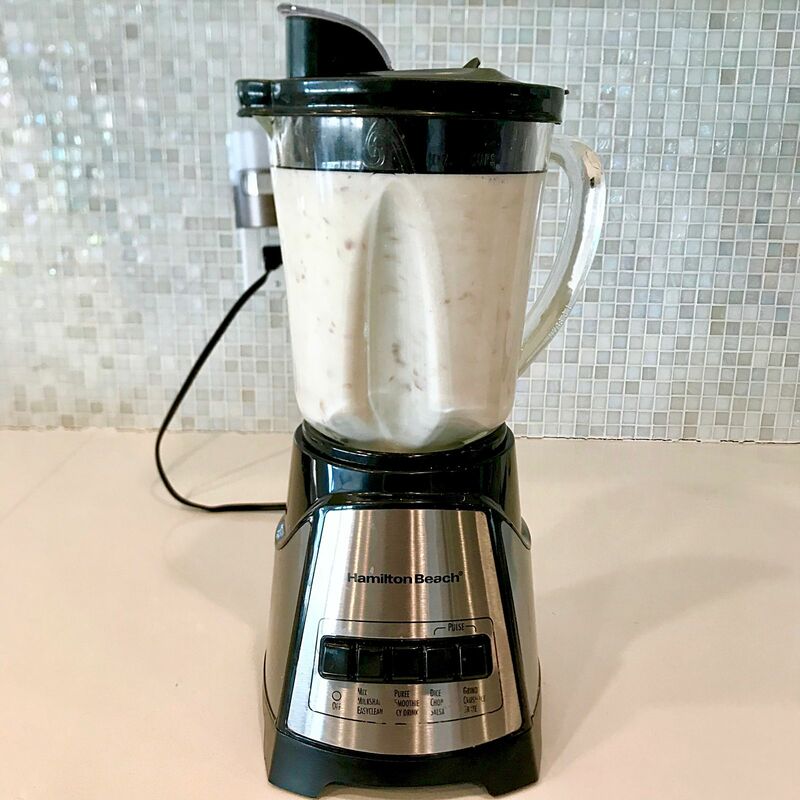 If you want to sweeten the milk put it back into the blender and add a teaspoon of vanilla extract and a few pitted dates or 2-3 tablespoons of maple syrup. Homemade almond milk only lasts in the refrigerator for a few days, so I don’t make a double batch. This recipe has several additions that sound good if you are going to drink it straight. 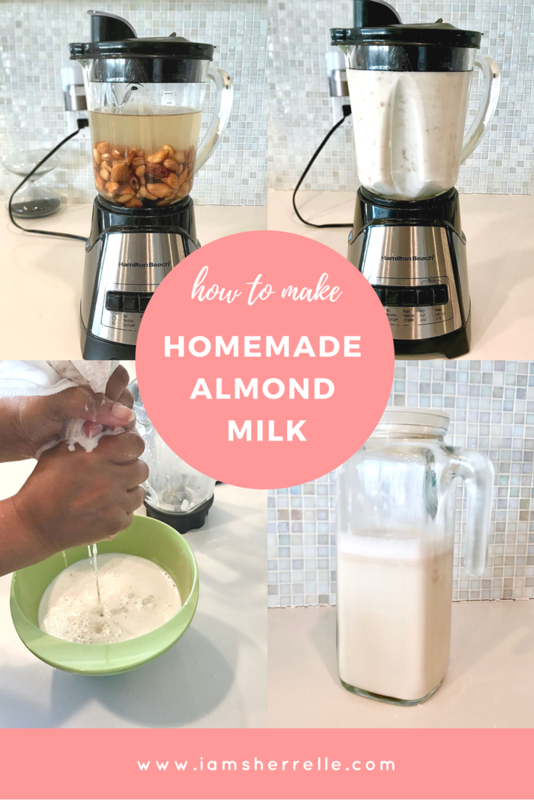 If you google “homemade almond milk” you will find several recipes with tweaks and additions but really they are all some variation on 1 cup of almonds to 3 cups of water – soaked, blended and strained. Oh and that left over almond pulp? You can probably find recipes for baked goods online, but I mix it with a little oil and make a body scrub. I’m sustainable and resourceful all the way to the end!